We are hoping to participate in GSoC 2019 and are in the process of gathering ideas for our application! This section will list all the sub-orgs who have signed up to participate with the Python Software Foundation for 2019. Applications for sub-orgs are due by Feb 4, so our initial list should be available by Feb 5th. In the meantime, you may wish to take a look at last year's list to see who might be involved again. MNE is a free and open source software designed for processing electroencephalography (EEG) and magnetoencephalography (MEG) data. EEG and MEG data analysis requires advanced numerics, signal processing, statistics and dedicated visualization tools. MNE-Python is a pure Python package built on top of numpy, scipy, matplotlib and scikit-learn. PySAL is a library for quantitative analysis of geographic data built on top of numpy and scipy.sparse.. The package includes methods for exploratory spatial data analysis and cluster detection, regression models with geographical data, space-time models, and visualization. SciPy is a library that provides fundamental routines for scientific computing: statistics, optimization, integration, linear algebra, Fourier transforms, signal processing, and more. Nuitka is a Python compiler written in Python. The mission is make Python a C speed programming language with graceful degradation, i.e. simple Python is very fast, while using all the features is still faster. This is a chance to join this extra ordinary project and make a difference to the programming world by taking Python where it currently is not. Nuitka currently does not yet live up to the task, but with your help it will get there sooner and you will have been a part of it. MSS is a web service based client/server application to plan atmospheric research flights. 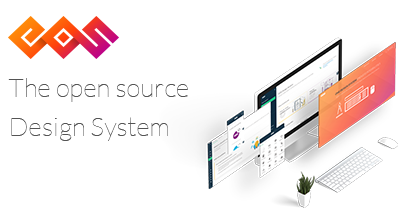 EOS is the first open source and customizable Design System to help open source, SMEs, and all sizes of organizations deliver outstanding user interfaces and consistent user experience. Design Systems serve as a centralized source of information for UX, UI, and other brand-related guidelines that help not only developers find the UI element or component they need, but also designers to build faster prototypes while streamlining the collaboration between the two. Scrapy is the world's best-loved scraping framework, helping people to efficiently extract and use web-data using Python. Using Scrapy, you can travel through sites at remarkable speed, and using only a few lines of readable code, extract high-quality data for use in research, for enterprise, for archival, and more. Scrapinghub, as lead maintainers of Scrapy and its constellation of supporting libraries, is open to mentoring motivated students who would like to work on Scrapy, or on a new Open Source library for quality-assurance in Scrapy spiders, Spidermon. Statsmodels is a general purpose statistics and econometrics package written in Python and some Cython. It is part of the scientific Python stack that is oriented towards data analysis, data science and statistics, but is also used for statistical analysis in science, engineering and other fields. Statsmodels provides a large range of statistical methods, estimation and prediction models and hypothesis tests, among them linear, generalized linear and robust linear regression models, models for discrete data, and a large group of forecasting models in time series analysis. Statsmodels has participated for many years in GSOC. This provided a large contribution to improving the coverage of both basic and advanced methods in statistics and econometrics. Buildbot is an open-source framework for automating software build, test, and release processes. Buildbot is a framework in which you implement a system that matches your workflow and grows with your organization. Buildbot has participated for many years in GSoC, and some of its core features were developed during GSoC. The CVE Binary Tool is a security tool that scans for a number of common, vulnerable open source components (openssl, libpng, libxml2, expat and a few others) to let you know if your system includes common libraries with known vulnerabilities.